If you could only buy one hand cream right now, make it this one. I am absolutely in love with it. 1) I never bother with hand creams. 2) I used to work at Her World. I got tons of hand creams for free. And I still have some of them waiting to be used. In other words, I don’t have to buy any. 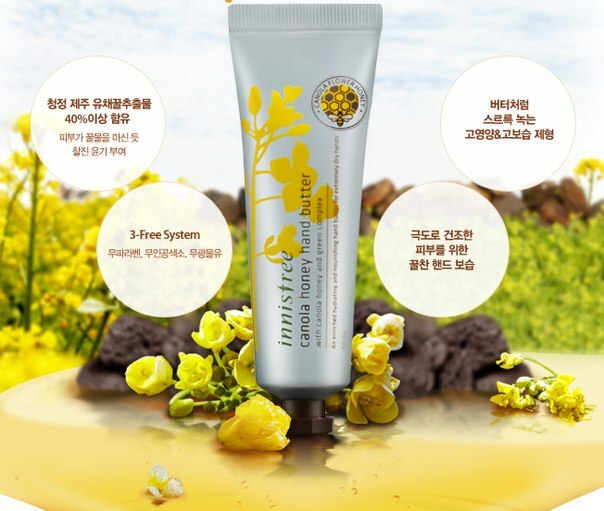 3) After a colleague let me try the Innisfree Canola Honey Hand Butter once, I went and bought it with my own money. Now that I am applying it daily at work, I know that it’s one product I’m going to continue buying. In fact, I’m wondering whether I should buy another tube to keep at home. I’m not going to go into too much details about the brand Innisfree. Briefly, it places big emphasis on using natural ingredients harvested from their pristine Jeju Island farm (is ‘farm’ the right word?). This hand butter contains honey from said island. The consistency is thick but absorbs fairly quickly. I don’t find that it leaves a greasy afterfeel but I do spend a good 20 seconds rubbing it into my palms and fingers. It leaves my hands with a light, sweet, slightly powdery honey scent, and makes them oh, so soft and smooth. I feel like it forms a protective coating as well, without any residual oiliness. And that’s actually what makes it a winner for me. Even after I wash my hands, I can feel that they are still moisturised, with that delicious smooth and nourished feeling. Even the scent lingers! I got mine in Korea, for I believe, about SGD$7. And I went to the Innisfree store in Singapore to see that it is $11. Not too much of a difference. 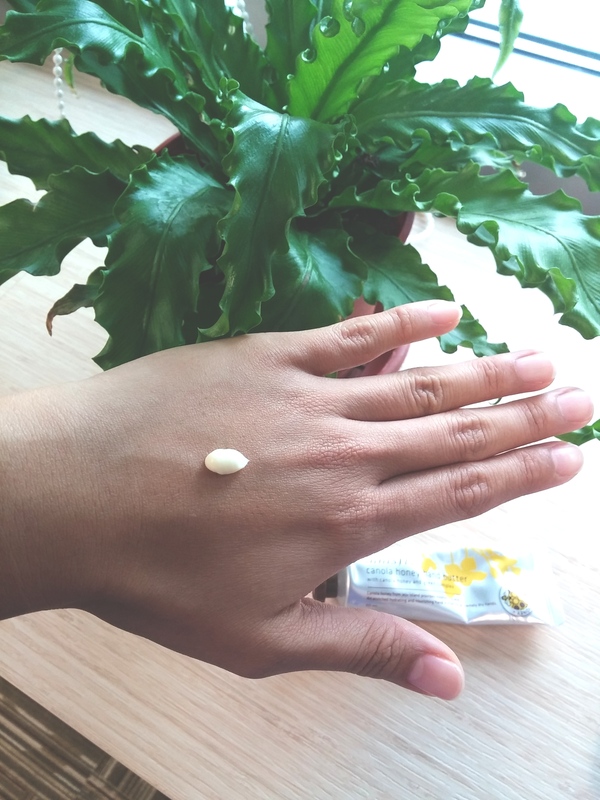 A 60ml tube can go a long way as I squeeze about only a pea-sized amount for both my hands to be covered adequately (see amount in picture). If you find that the hand butter is too rich for your liking, give their other lotions a shot. They smell really, really good and the packaging is too cute. 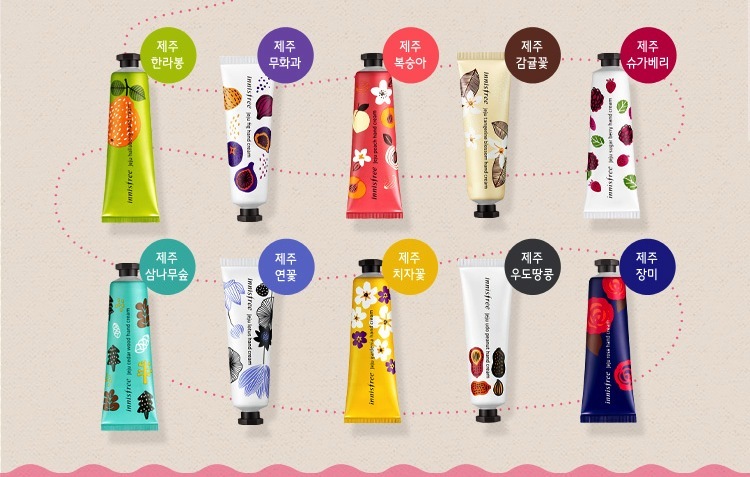 I’m actually keen to try other Innisfree products now, after seeing how fantastic this hand cream worked, for a very reasonable price. I’ll be hoping to try their face moisturisers soon-ish. I say soon-ish because I still have a number of tubs that I’d gotten before (from my days in Her World) to go through before I need to go out and buy one.